In one study, Hauser evaluated the drug droxidopa (see the structure right), which is not yet approved for use in the United States, to help patients who experience a rapid fall in blood pressure when they stand up, which causes light-headedness and dizziness. About one-fifth of Parkinson's patients have this problem, which is due to a failure of the autonomic nervous system to release enough of the hormone norepinephrine when posture changes. In a second study, Hauser assessed 420 patients who experienced a daily "wearing off" of the Parkinson's medicine levodopa (see structure left), during which their symptoms didn't respond to the drug. He compared those who took different doses of a new drug called tozadenant, which is not yet approved, with those who took a placebo. All still took the levodopa. At the start of the study, the patients had an average of six hours of "off time" a day when symptoms reappeared. 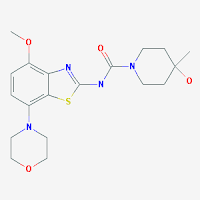 After 12 weeks, those on a 120-milligram or 180-milligram dose of tozadenant (see structure below) had about an hour less of "off time" each day than they had at the start of the study. In another study, Hauser looked at 321 patients with early stage Parkinson's whose symptoms weren't handled well by a medicine called a dopamine agonist, typically the first drug prescribed for Parkinson's patients. 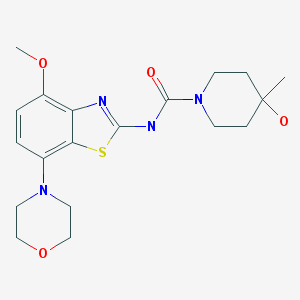 During the 18-week study, Hauser assigned them to take either their usual medicine plus an add-on drug called rasagiline (brand name Azilect see below structure) or their usual medicine and a placebo. Those taking the Azilect but not those taking the placebo improved by 2.4 points on a standard Parkinson's disease rating scale.